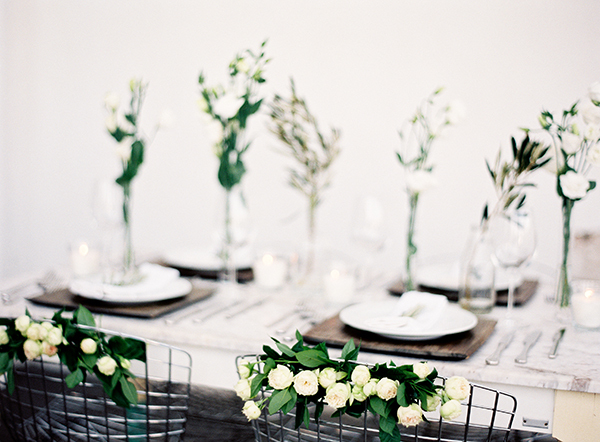 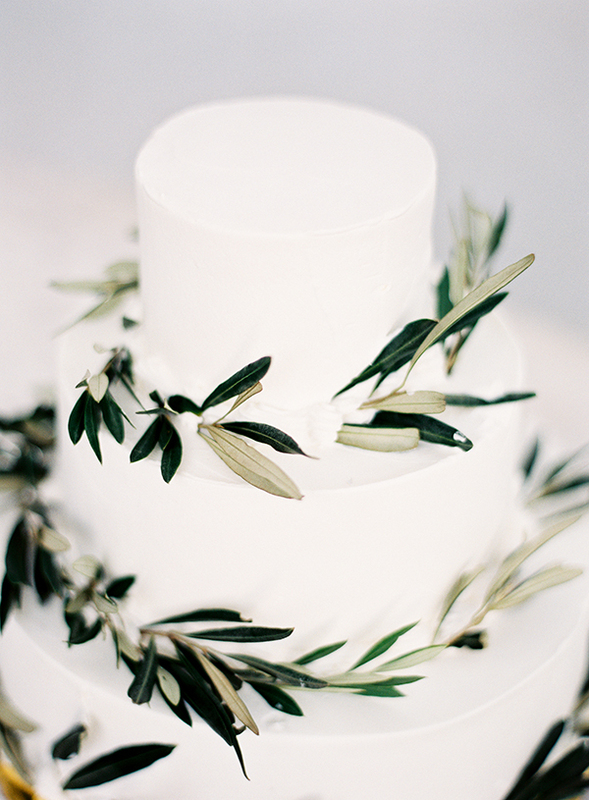 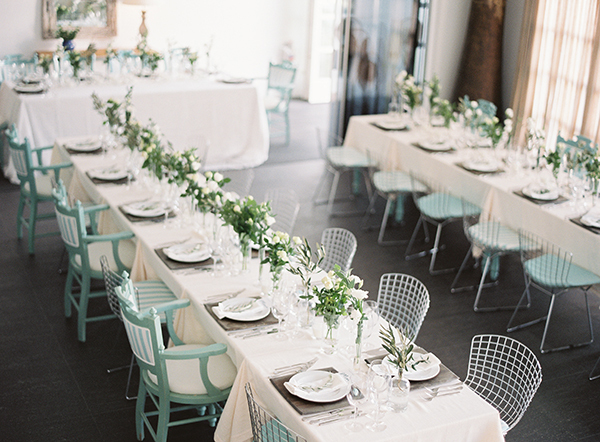 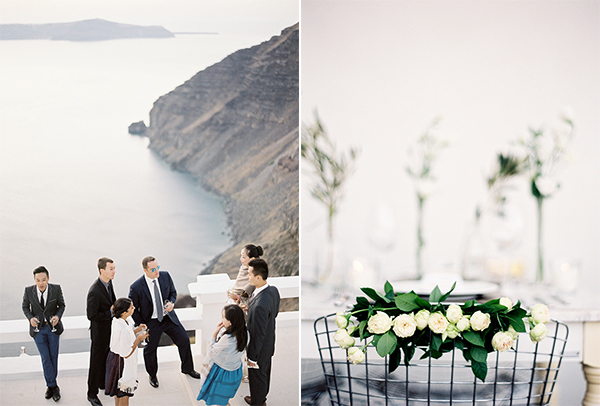 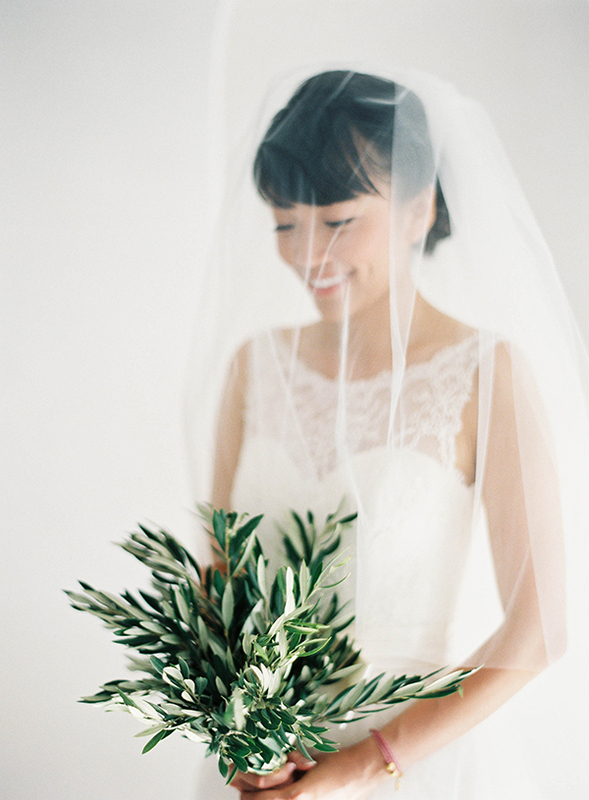 This beyond stylish wedding in Santorini captured by Jen Huang caught my attention immediately from the beautiful images of the traditional Chinese Tea ceremony that was held at the Chromata Hotel. 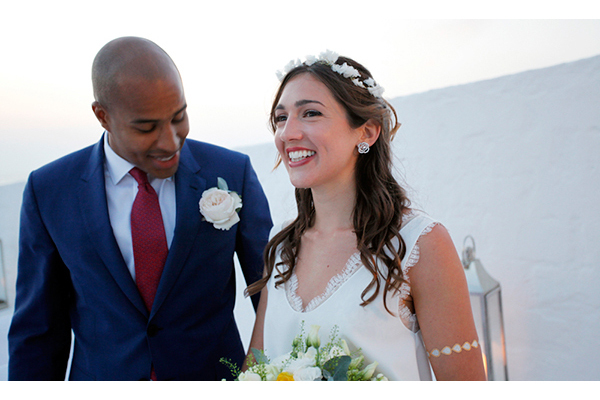 The lovely bride was glowing in her Amsale wedding dresses and we loved the Greek inspired details and sophisticated choice of colors in the wedding decoration by Stella and Moscha. 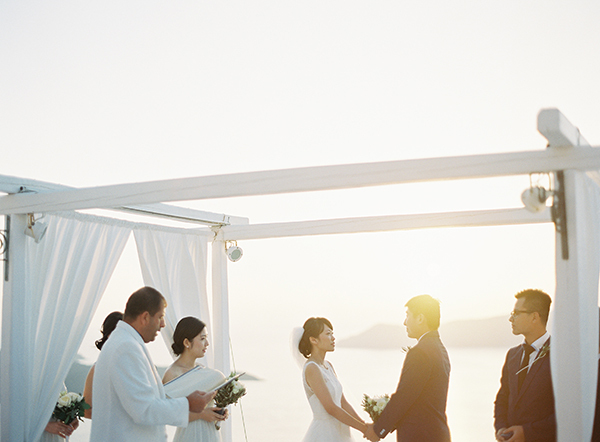 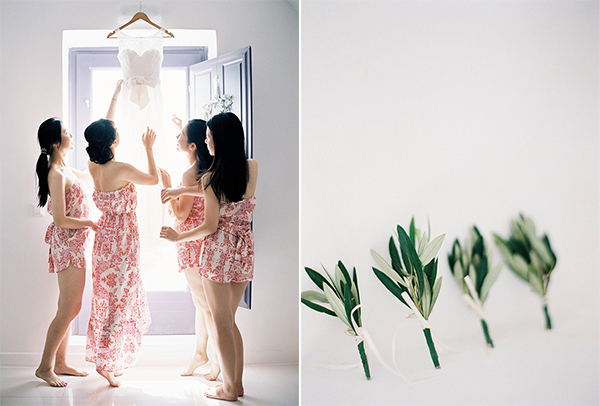 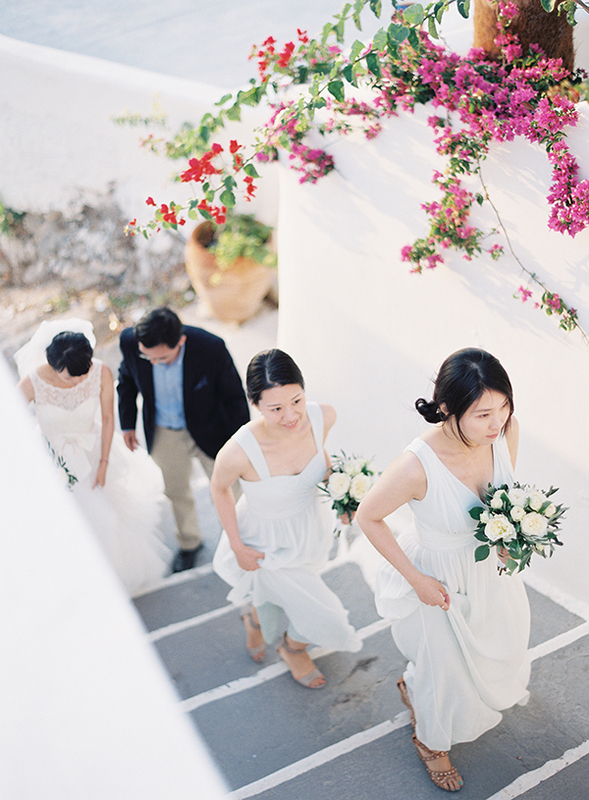 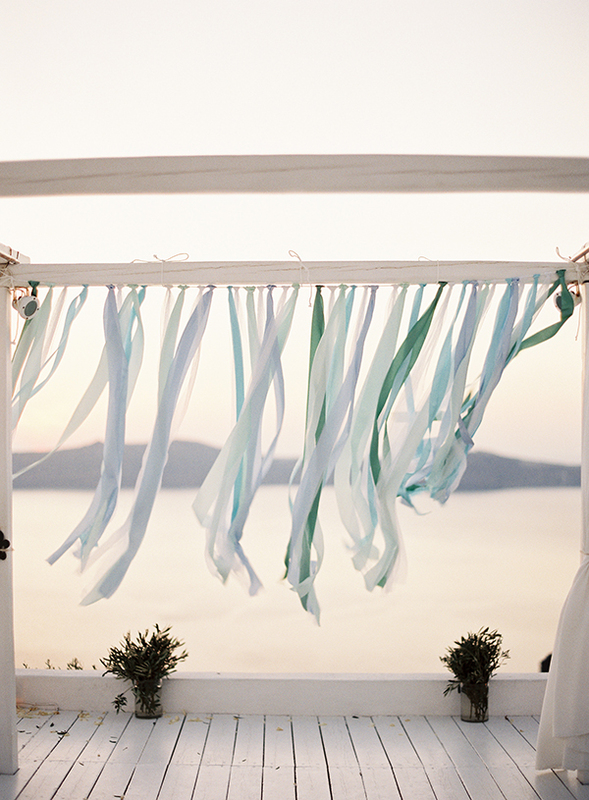 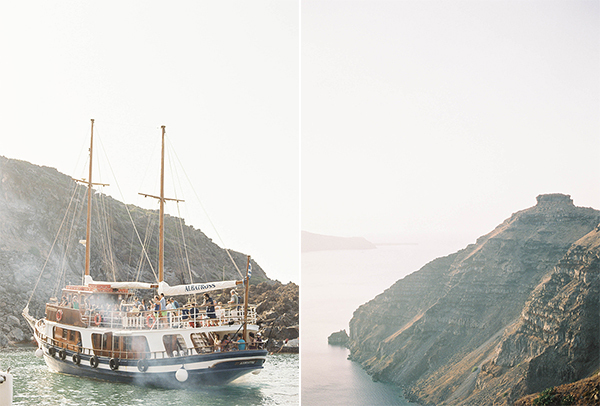 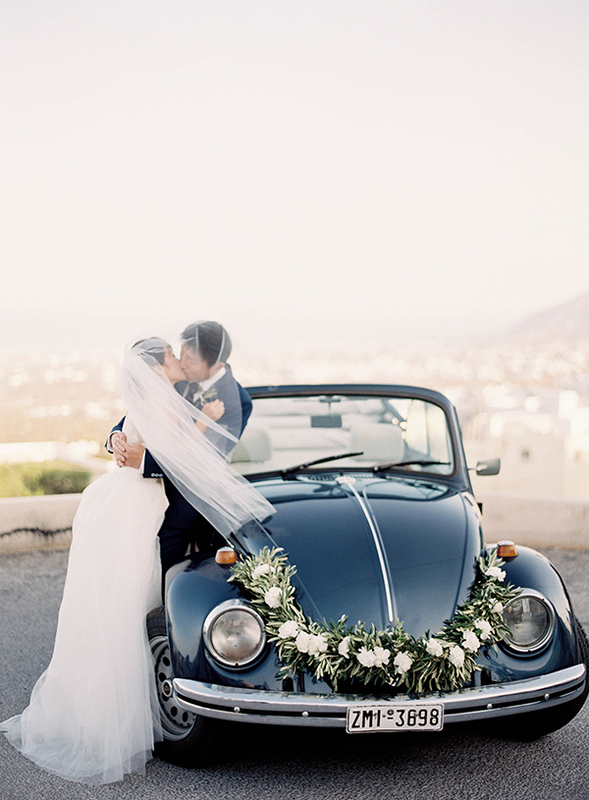 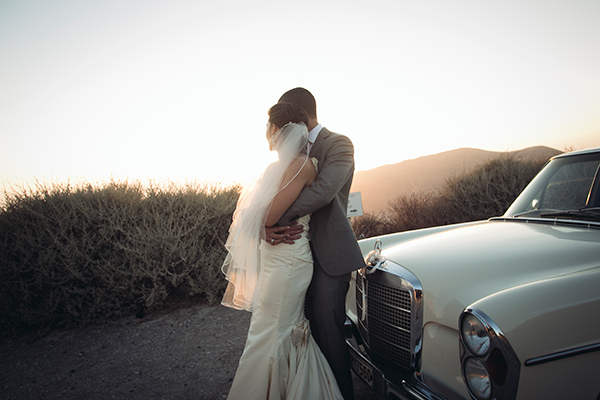 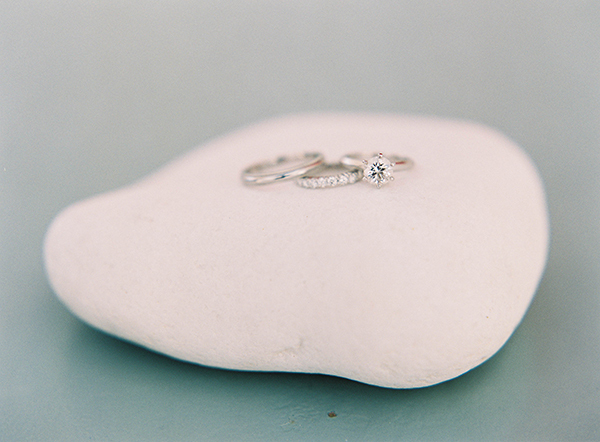 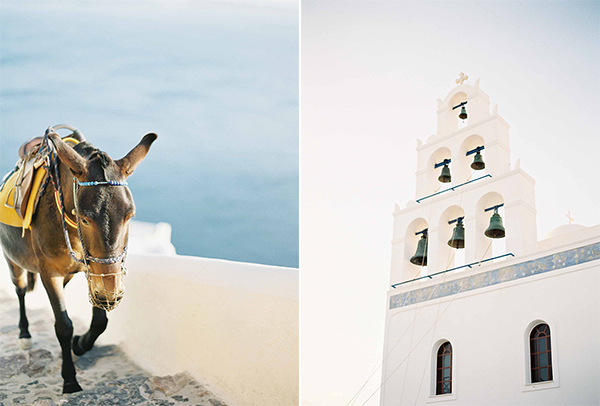 From Stella and Moscha: “Today we are excited to share this wonderful Santorini Fall Wedding of Shanshan and Philip. 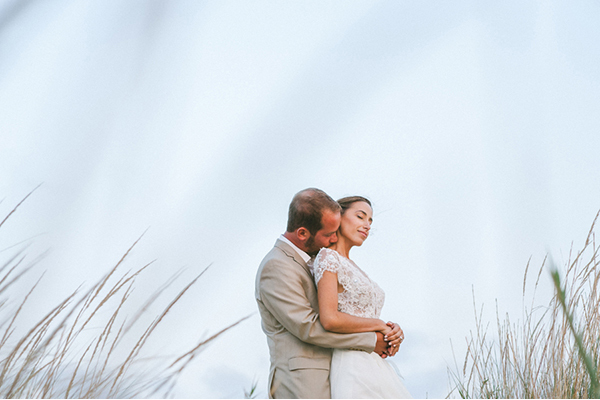 Being in a long-distance relationship for six years and living on different continents has made travel a big part of their lives. 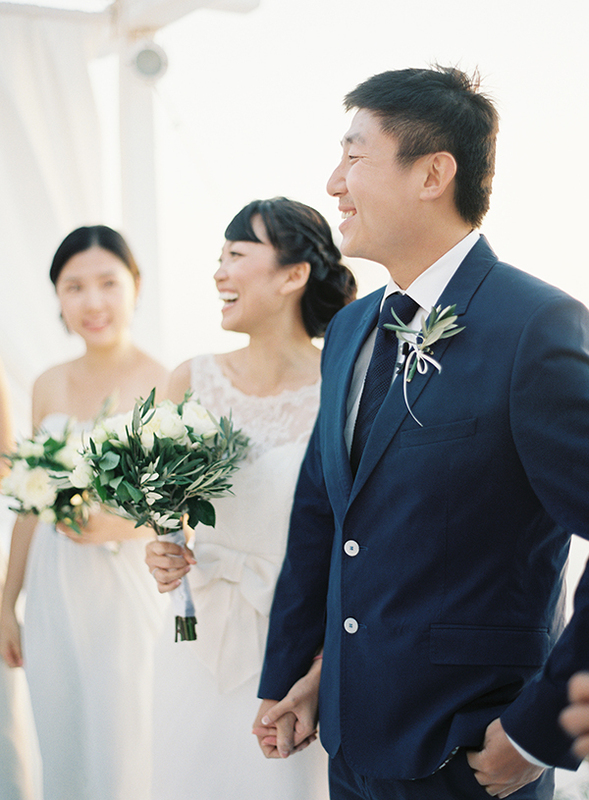 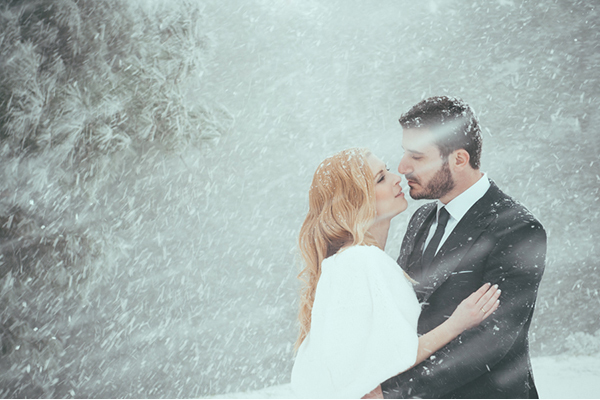 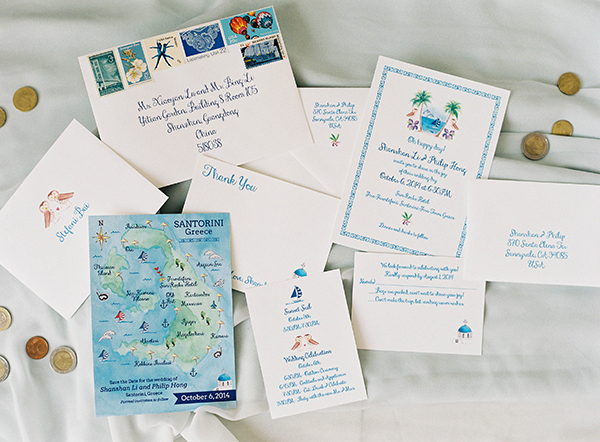 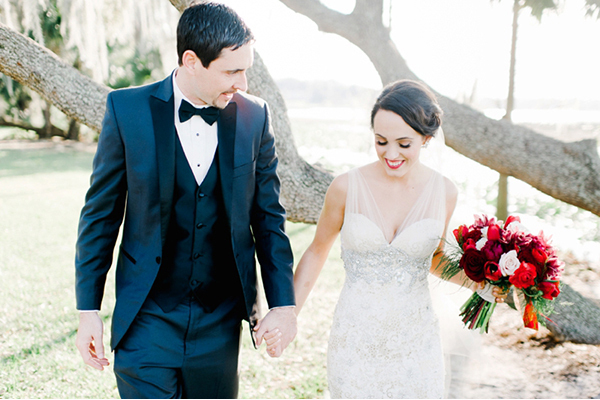 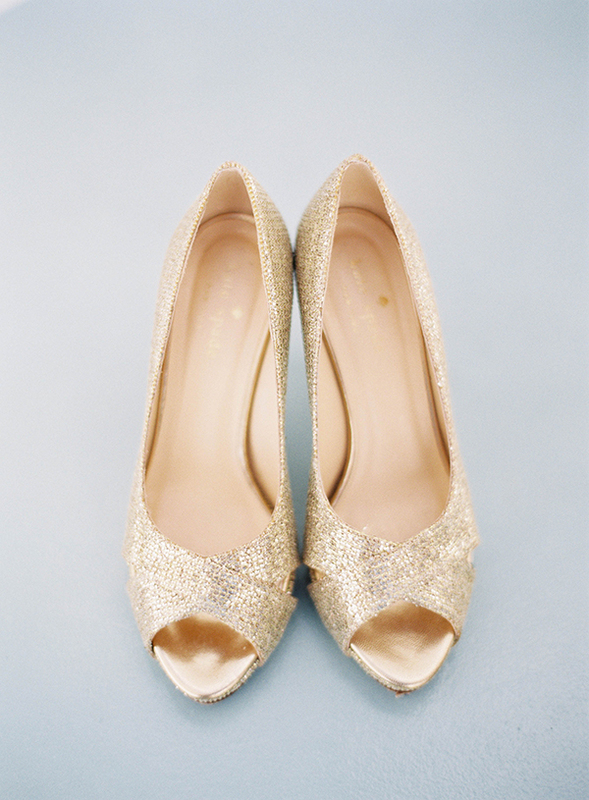 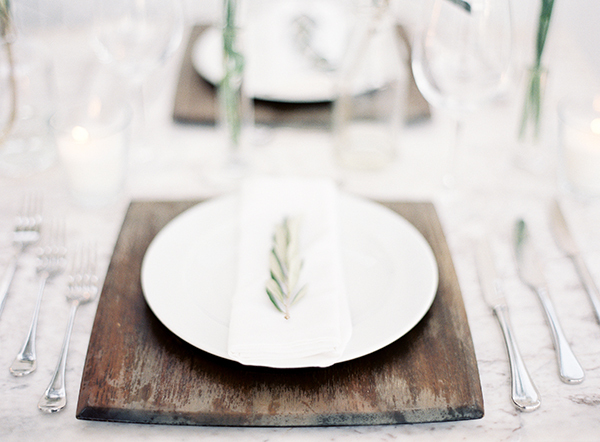 As families and friends are also scattered all over, they wanted the wedding to feel like a reunion for everyone. 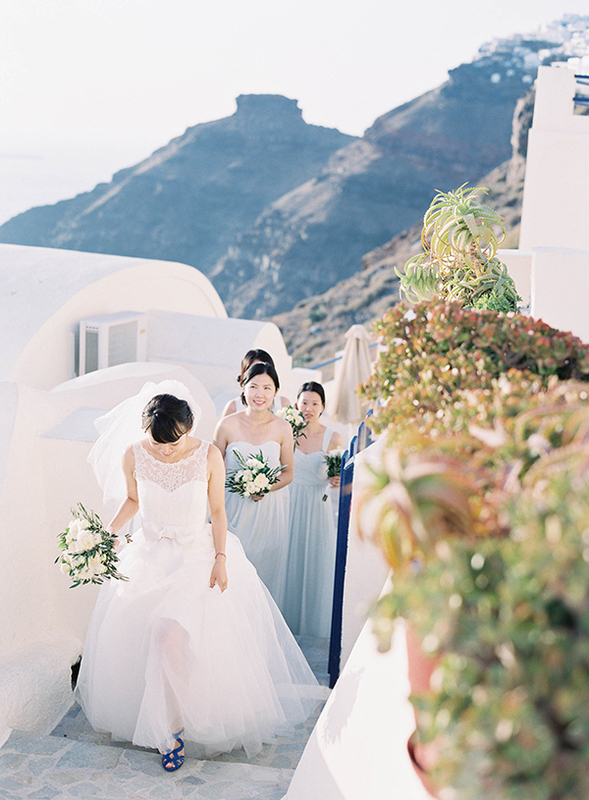 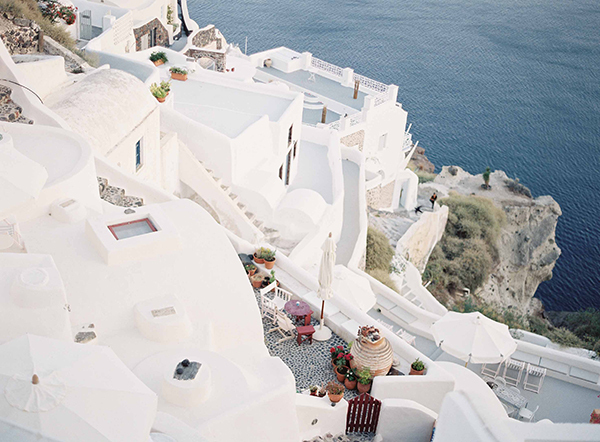 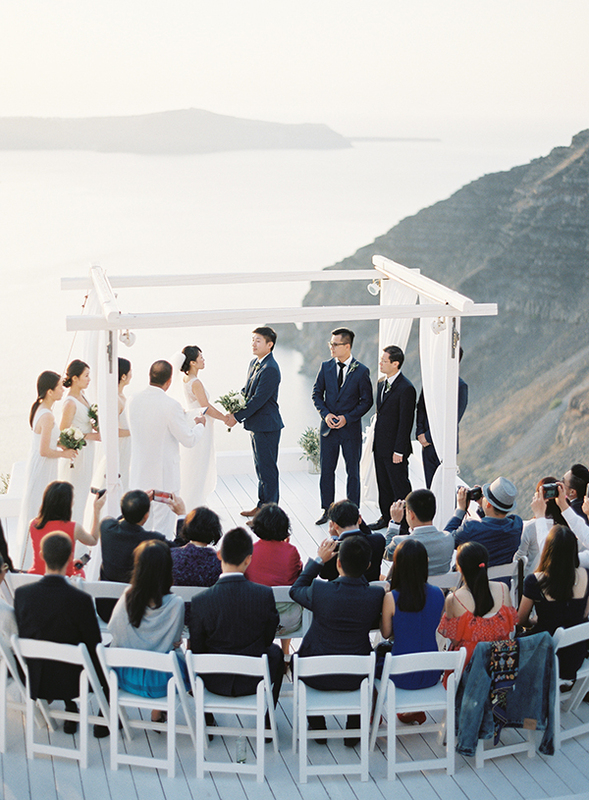 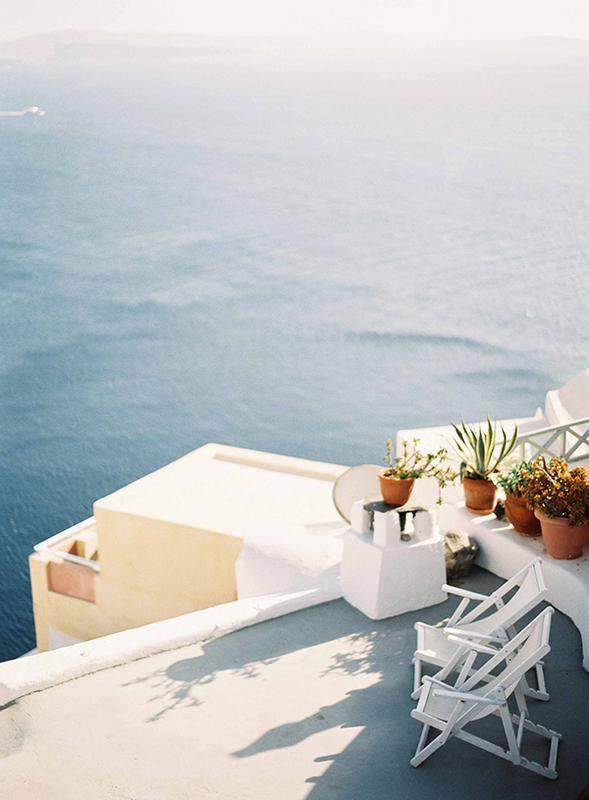 Shanshan had been dreaming of honeymooning in Santorini since she was little, so it hit them: Why not get married there so it’s even more meaningful and memorable? 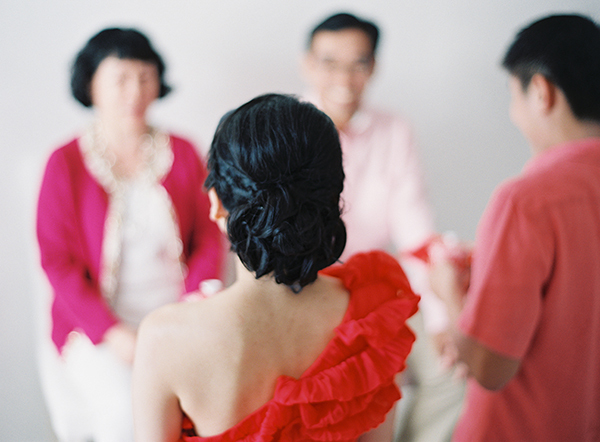 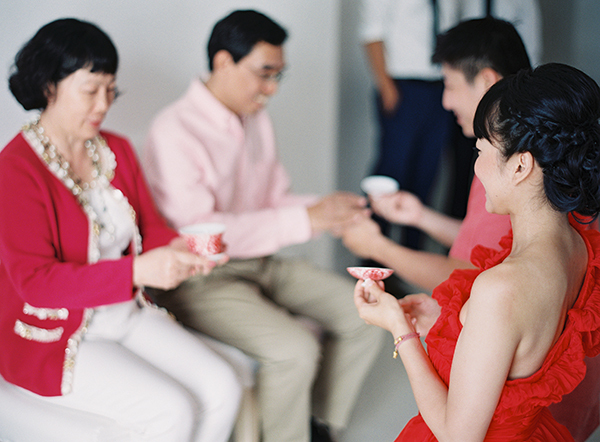 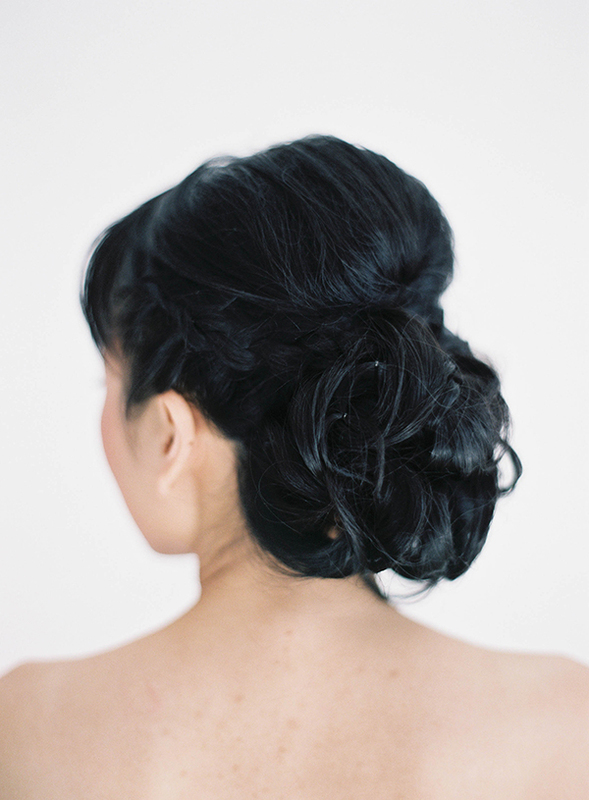 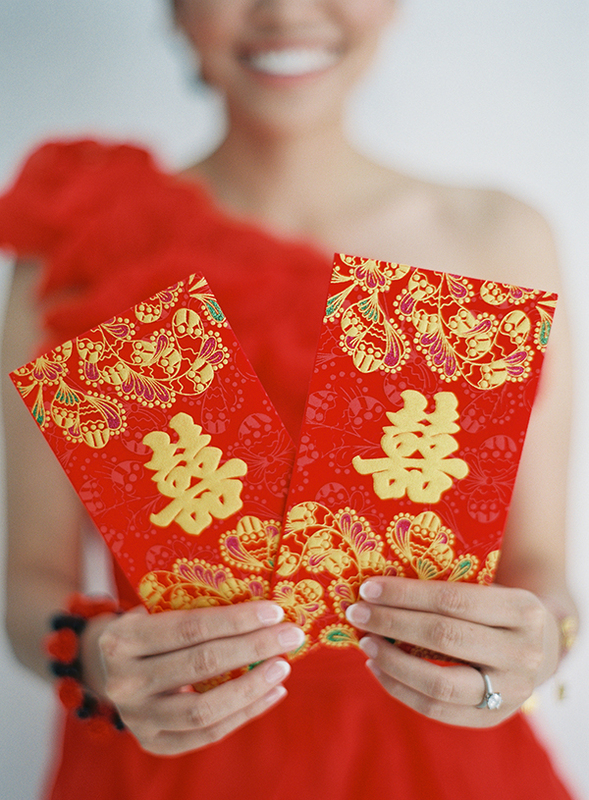 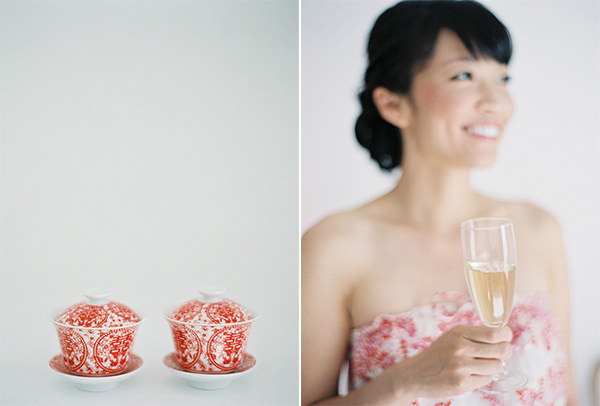 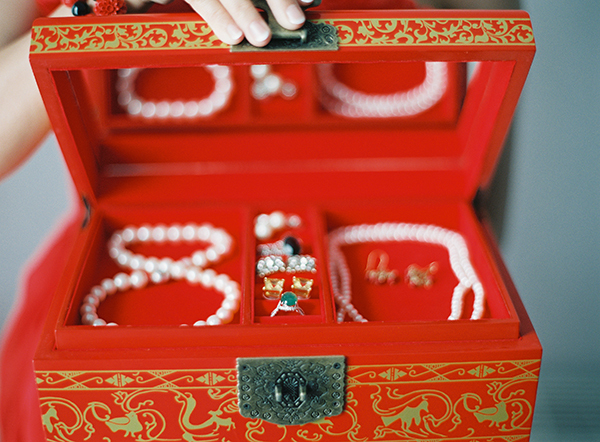 Their day started with a traditional Chinese tea ceremony and she got ready at the Chromata Hotel before heading to Sun Rocks for the ceremony. 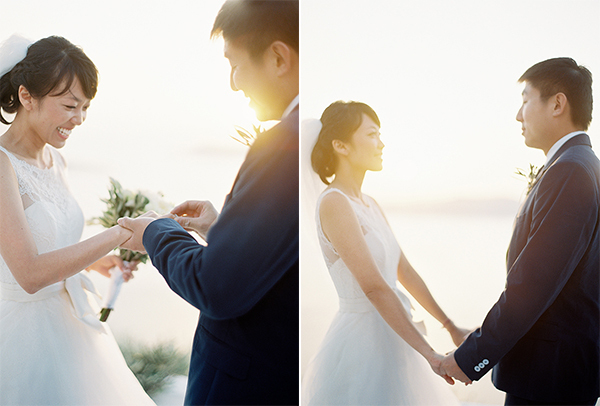 After cocktail hour, they headed to Aressana Spa Hotel & Suites for Dinner Reception. 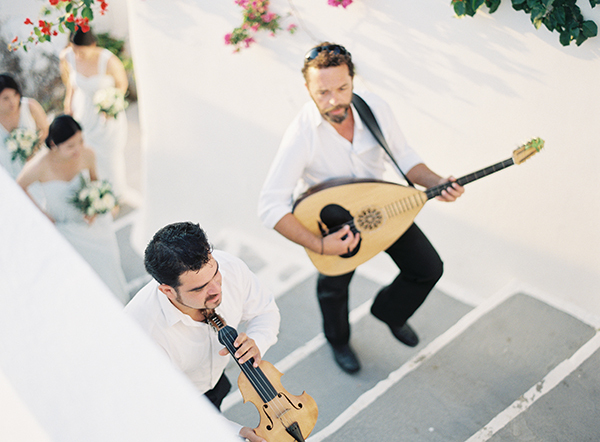 Dinner was grilled veal and sea bass in pistachio sauce, all paired with local wine, and the weather was so beautiful that they danced and laughed by the pool all night under the stars. 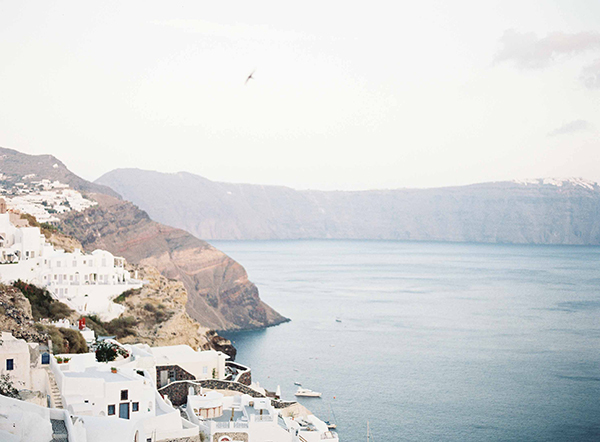 Shanshan was ecstatic with the views and the island of Santorini: ‘everywhere you look is like a postcard’.